T-Mobile added 14 new partners in its controversial Binge On program on Thursday, while CEO John Legere simultaneously rebutted critics accusing the company of improper data throttling and/or violating the Federal Communications Commission's net neutrality rules. The new partners include A&E, Lifetime, History, Tennis Channel Anywhere, FuboTV, Kidoodle TV, Curiosity Stream, Fandor, Newsy, ODK Media, Lifetime Movie Club, and FYI. 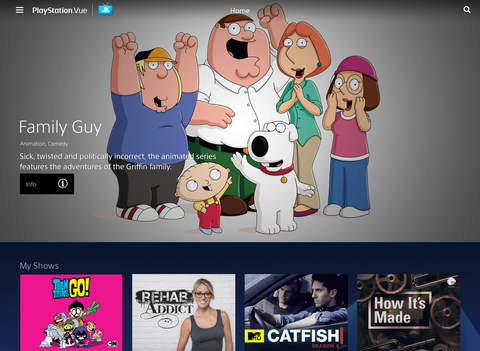 The most important may be PlayStation Vue, a Sony service that bundles together numerous live TV channels. Although aimed mostly at PS3 and PS4 owners, Vue is also supported on iOS, Chromecast, and the Amazon Fire TV. In all Binge On now has 38 partners. If a T-Mobile subscriber has the perk turned on, video quality is reduced to 480p, but any content streamed doesn't count towards monthly data caps. In a blog post, Legere said that people accusing the company of throttling are "playing semantics." "Binge On does NOT permanently slow down data nor remove customer control," the executive claimed. "Here's the thing, mobile customers don't always want or need giant heavy data files. So we created adaptive video technology to optimize for mobile screens and stream at a bitrate designed to stretch your data (pssst, Google, that's a GOOD thing)." YouTube was one of the first parties to complain about Binge On, charging that its video was being throttled even though it isn't a Binge On partner. T-Mobile blamed any downgraded quality on flaws in its media recognition software, and denied throttling. The Electronic Frontier Foundation, however, recently published test results suggesting that with Binge On active all video is slowed to 1.5 megabits per second, even when it's hosted on a private server. Legere further argued that the media is "using Net Neutrality as a platform to get into the news." FCC rules mandate that carriers and ISPs can't degrade traffic "on the basis of Internet content, application, or service."